Waiting to be the king has got to be tough, but luckily the savannah around Pride Rock has plenty of excitement if you know where to look for it. Your little lion cub can join the fun faster than they can say "Hakuna Matata" in this Deluxe Kion Costume, from Disney's The Lion Guard! As the Prince of Pride Rock, Kion has pretty big shoes to fill (or he would, if lions wore shoes) when his father, Simba, retires from being king. That won't be for a while though, so in the meantime, Kion and his friends protect the Pride Lands as the Lion Guard. But, what do they do on slow days, when there aren't any troublemakers to stop, or anyone to save from danger? They probably play games of baobab ball and swim in the watering hole, and maybe they even have singing contests. We bet Kion's "Roar of the Elders" power also gives him a wild singing voice! 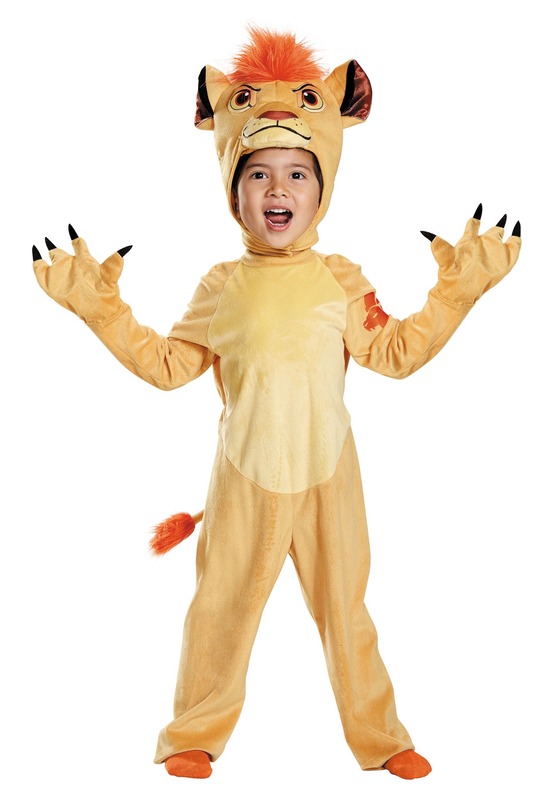 While this costume won't quite give your toddler a legendary roar, it will give them the ferociously fuzzy look they need to keep the Pride Lands safe! 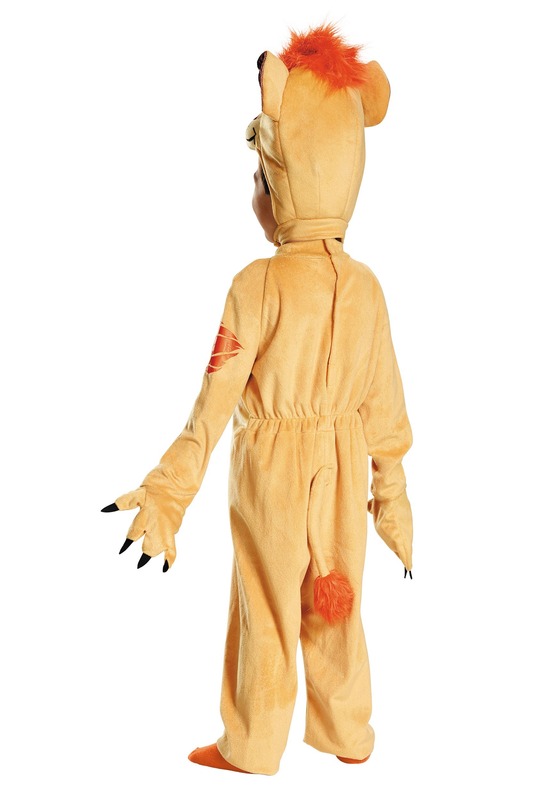 The cozy jumpsuit features a stuffed tail in the back and Kion's unique paw marking on the shoulder. The matching hood is shaped to look like a lion cub head, with Kion's face printed on the front, and big soft ears and an orange mane on top. Your little cub will have a hevi kabisa (or "totally intense") time prowling and playing around in this fiercely adorable outfit!